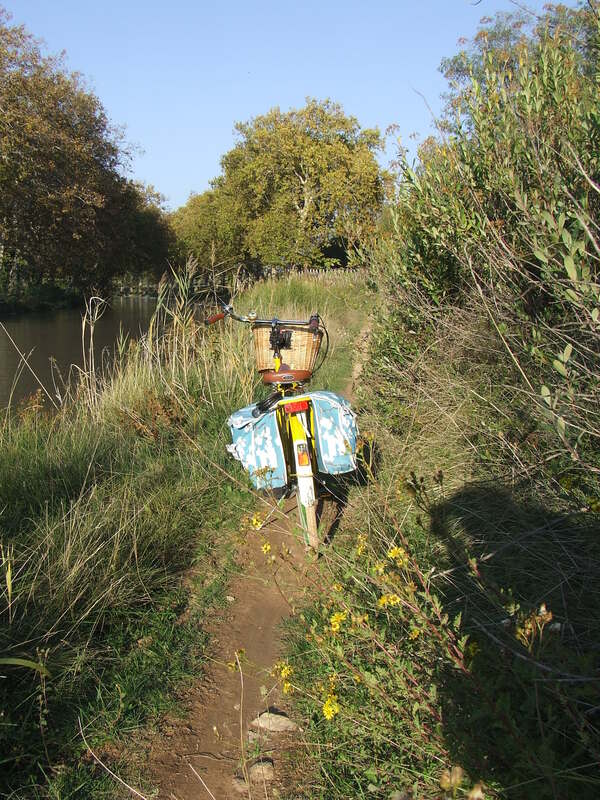 Learning Life’s lessons as I pedal the yellow bicycle across France. My blog is about an ordinary woman with an extraordinary yellow bicycle and how together as a team, they overcame one of life’s dreaded obstacles. It is also about my thoughts and philosophies and stories over the course of that time. If not I wish you well on your journey through this great and fabulous life, where the only certainty is the present moment. I always took my health and indeed my life for granted. I cycled as my main form of transport. I grew organic vegetables, kept a small herd of milking goats for milk and cheese and a flock of hens for eggs. I encountered some stressful times, a divorce, a move away from the life mentioned above but nothing I couldn’t handle. In time I bought a little camper van and would head away in it whenever I could with my bike on board. Finding a pleasant place to park, I’d potter around small country lanes on my bike exploring, looking for inspiration for photo’s or drawings, coming back in the evenings to pour a glass of wine and settle down to a bit of writing or painting before crawling into my cozy camper bed for the night. One year taking the wrong turn home I chanced upon a bike shop and there outside was a yellow bicycle. An hour later the yellow bicycle was mine. A month later I was diagnosed with an aggressive cancer that had already metastasized. And I was bound speedily for death (or so I thought). Better cycle the yellow bicycle as much as I could. Get my money’s worth so to speak. And during a year of gruelling treatment I continued to cycle. I learnt many lessons from the saddle as I pedalled along. She inspired me to continue writing my stories and still does. She keeps me calm when life becomes hectic so that no matter how furiously I am pedalling below I always appear sedate on top. We have many adventures together. till death do us part…. I hope you will enjoy reading my blog as much as I love writing it and may I mention all Photo’s splattered haphazardly throughout are my own. THE PROUD OWNER OF MY NEW YELLOW BICYCLE, LOOKING HEALTHY ENOUGH, BUT HAVING NO IDEA WHAT LAY AHEAD. Your very welcome. :)and lovely to see you here. Hi, I love the look of your blog. What an amazing lady you are! And some great photos. Can I ask a stupid question? When I read one of your posts, how do I leave a comment? I can only do it at the moment if I reply to someone else’s comment. Am I missing something? Anyone that is a bike enthusiasts is my kind of person..lol! Nice to meet you Stephanie. What an inspiring story, and oh…I can see why you fell in love with that gorgeous bike! I’m looking forward to going on this journey with you – following. You’re welcome. Looking forward to reading more from you. Have fun!!! 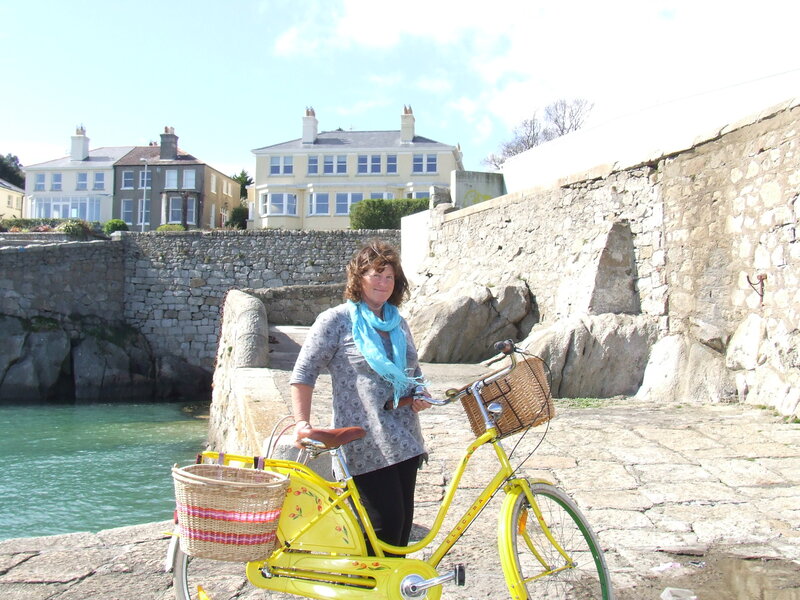 Lovely blog look forward to reading your stories , I have never seen a happier bicycle , I found your blog through reading your comments on Melissa’s garden page , you mentioned your sister had set up a gardening page , I came here to see if there was a link to it and found this lovely blog so glad I did. Happy Days.Kathy. Aran island girl’s mention brought me here. I’m blessed it did! I have a young friend battling cancer, I posted your blog on FB and called her attention to it. I want a yellow bike. I rode a bike everywhere when I was a young girl. Not so young anymore, but your story inspires me.